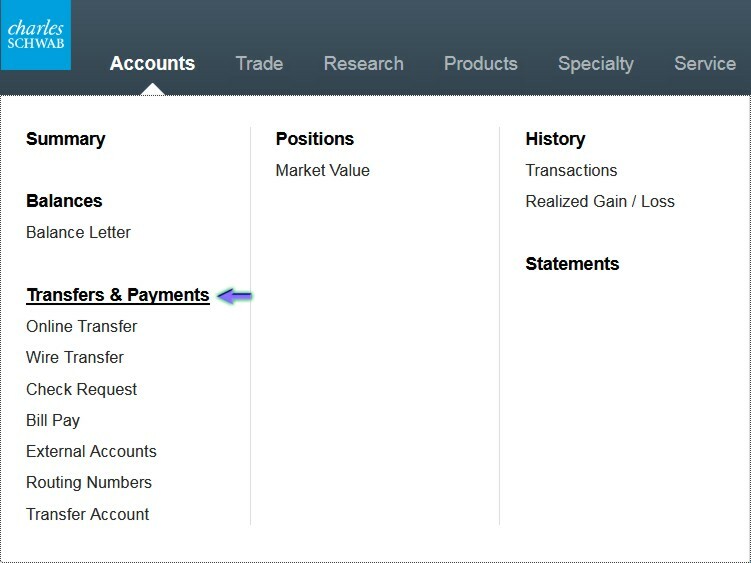 There are many online methods of funding your Charles Schwab account. If the money is coming from an external custodian, you could utilize a MoneyLink or transfer from an external account. You can also use the low tech option of writing a check. 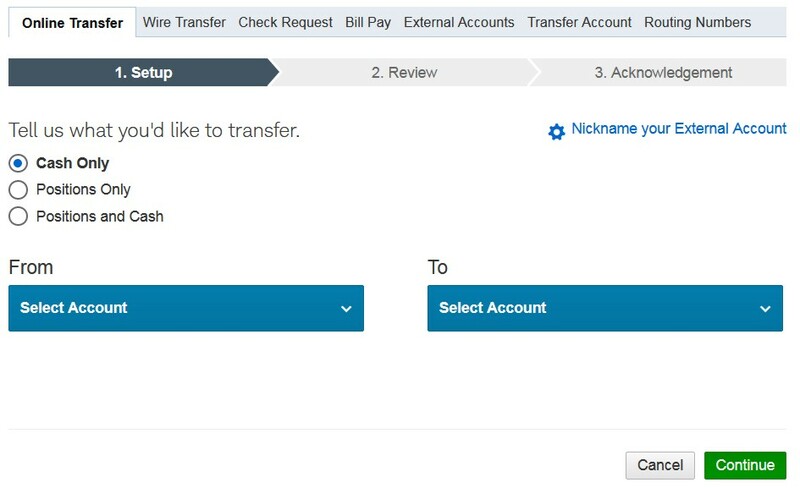 After logging in to Schwab Alliance at https://www.schwab.com, hover over the “Accounts” tab at the top and then click on “Transfers & Payments” in the menu that comes up. For Roth funding, under “Tell us what you’d like to transfer,” select “Cash Only.” For “From,” select your all cash account. You may have nicknamed it “All Cash” or “Passthrough” in set up. For “To”, select the Roth account you’d like to fund. For “Enter the amount of cash you’d like to transfer,” fill in the dollar amount you’d like to transfer. Make sure to check the Roth contribution limits for the tax year you are funding and ensure your contribution is under those. Also, make sure that the From account has a sufficient cash balance to facilitate the transfer. 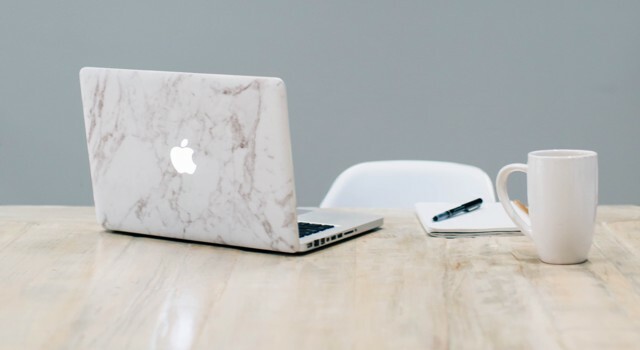 Although you can set up a recurring contribution, such as $500 monthly, it is harder to ensure both that you are under the contribution limit and that you are coming right up to the limit. For example, if you start a few months late and then up the contribution, you’ll need to remember at the start of next year to adjust the contribution back down. For “Contribution Year,” you will need to clarify if the contribution is for the current year or the prior year. You have until you file your taxes due April 15th to make any Roth contributions for that tax year. As a result, if you are making the transfer between January 1st and April 15th, you will have two options in the drop down box: this year and last year. If you have already made a contribution for the prior year, select the current year. If you have not yet made a contribution for the prior year, select the prior year. If you ever have any concerns about if you did the process correctly or need assistance, you can easily call Schwab Alliance at 800-515-2157 or message them via the message center.